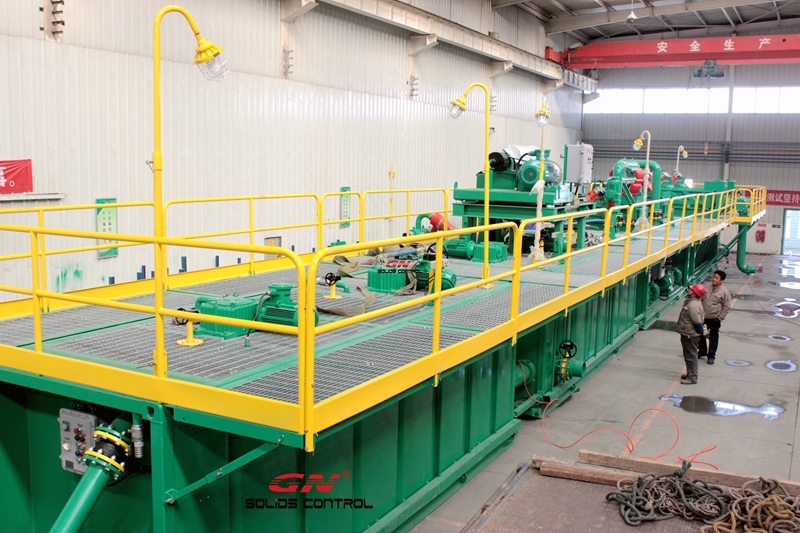 GN Soilds Control is a well-known manufacturer of solid-liquid separation equipment in China. As the country’s requirements for clean production of oil fields become more stringent, especially the solid waste treatment of oily sludge is top-ranked by major oil refining and environmental protection enterprises. In the event of major events, many customers in the petroleum industry have gradually paid attention to the treatment of oily sludge. 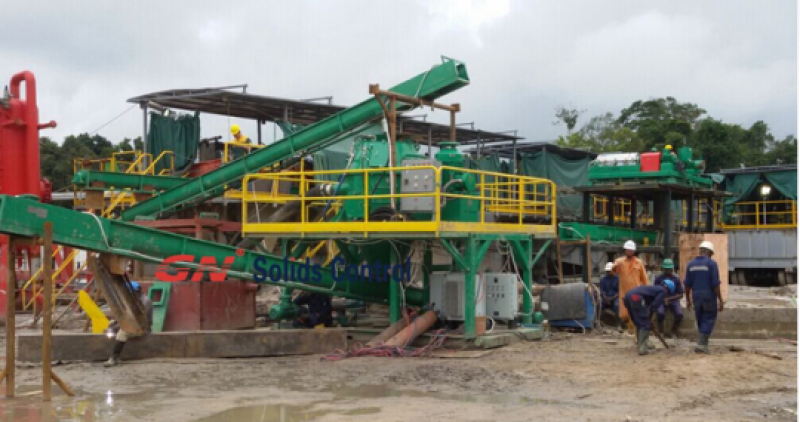 Therefore, based on years of experience in solid-liquid separation, GN Soilds Control has introduced integrated oily sludge treatment based on market demand. System and equipment, and widely used in domestic and foreign markets. 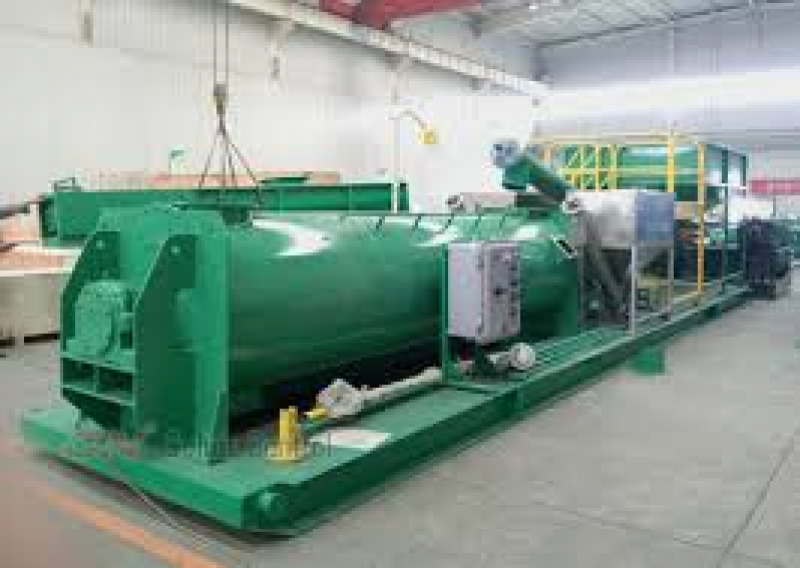 The oily sludge treatment equipment sent to Uganda site has fully met the customer’s requirements for oily sludge treatment after two months of commissioning and repeated experiments. The processing results far exceeded the customer’s expectations and obtained The customer is highly praised. At present, for the treatment of oily sludge, GN Soilds Control adopts the screening of coarse particles in the early stage, which separates the large solid phase particles in the material, and then reduces the oil content of the solid phase by multiple heat washing processes. Fine separation by high-speed decanter centrifuge reduces the oil content in the solid phase to less than 3%, meeting customer’s requirements for processing results, and meeting customer expectations of 10 cubic meters per hour. The integrated oil-containing sludge treatment device has the advantages of low operating cost, simple operation and low maintenance cost, and is the best solution for the treatment of oily sludge. GN Soilds Control’s Houston warehouse inventory on solid-controlled centrifuge and drilling fluid vibrating screen promotion, GN Soilds Control solid control is used to return the majority of customers, after continuous and a large number of on-site user visits, GN Soilds Control through the user’s use of equipment, construction process and management, Including the entire market demand for services and accessories, we are now offering special sales to our US branch cash centrifuges and drilling fluid shakers to return to our customers. The centrifuges produced by GN Soilds Control can also produce a variety of models according to the customer’s requirements for on-site processing. The centrifuges produced by GN Soilds Control are mainly used to recover barite, separate fine solids, and reduce the solid content of materials. Effectively control the density and viscosity of the on-site drilling fluid to ensure the performance of the customer’s drilling fluid. The straight section and the cone section of the centrifuge drum produced by GN Soilds Control are made of 2304 bidirectional stainless steel material, which is made by centrifugal casting. The rest of the drum assembly is made of SS304 stainless steel material. The centrifuge screw feeder is protected by wear-resistant alloy sheet. Repair and replacement. Centrifugal bearings use imported SKF bearings to improve equipment stability and bearing life. The drilling fluid vibrating screen produced by GN Soilds Control solid control can produce various types of vibrating screen double or triple vibrating screen according to the requirements of the customer on-site processing volume, in order to meet the requirements of customers, the drilling fluid vibration produced by GN Soilds Control The screen has an efficient separation capability at the site and is capable of recovering useful drilling fluids. 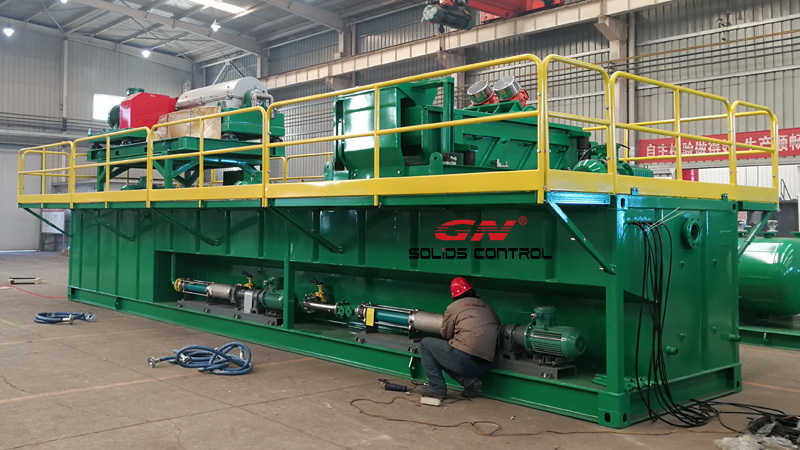 The bottom frame of the drilling fluid vibrating screen produced by GN Soilds Control solid control adopts stainless steel screen box, which can be adjusted by mechanical synchronous screen box when used by customers. It can meet the non-stop operation. The drilling fluid vibrating screen is installed by wedge type screen, which improves the effective Increase the speed of screen replacement. Make customers convenient and efficient in use. The drilling fluid vibrating screen screen seal GN Soilds Control applied for its own technical patent. 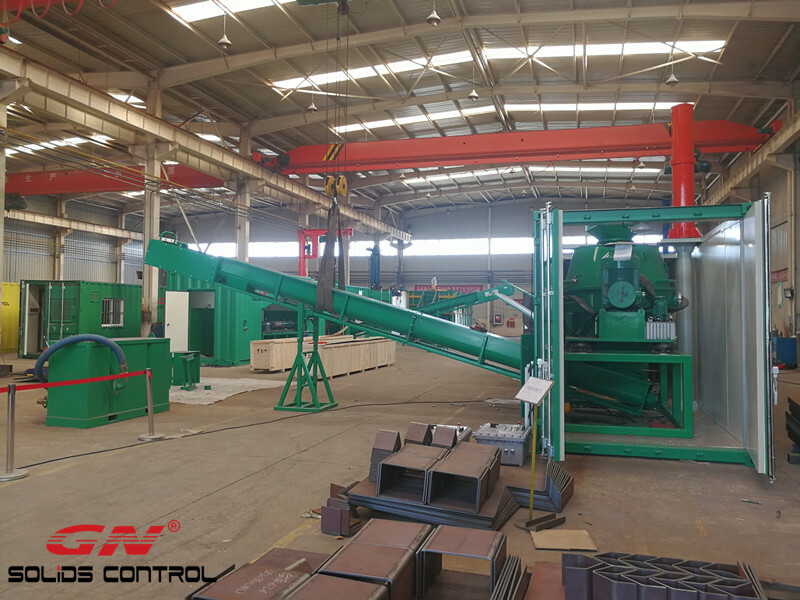 The use of the site can prevent the penetration of fine-grained solids, greatly reducing the maintenance cost and protecting the screen box.